The American College of Sports Medicine reports that roughly 25,000 people in the United States sprain their ankle daily. Additionally, almost one-half of all sports-related injuries are ankle sprains, causing a large number of athletes to miss trainings and practices in the sports they love most. Fortunately, chiropractic has been deemed beneficial when it comes to ankle sprain recovery, and it's something that Dr. David J. Mulholland has had success with in our Anchorage, AK office. If you're suffering from an ankle sprain, Dr. David J. Mulholland might be able to help you. 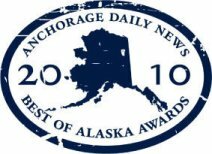 Give our Anchorage, AK office a call today at (907) 770-5700 for an appointment.